While you will find your standard theme park fare available, the real money is on the BBQ items including smoked turkey leg with BBQ sauce, BBQ pork ribs, 1/2 smoked chicken with BBQ sauce and for those who like a bit more control – chicken strips with BBQ sauce on the side. Ordering is completed at a kiosk and meal pick up is further down the line at a counter. Your seating choices are plentiful with both outdoor and indoor options. 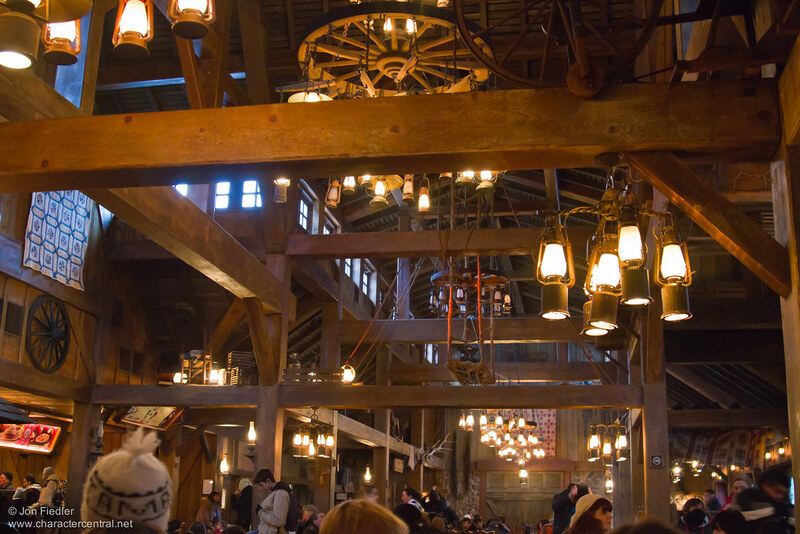 The interior of the barn is impeccably themed with old barrels and blankets hanging from the rafters, wagon wheel chandeliers for light and antlers. Lots and lots of antlers. On the left side of the barn there is even a four sided fireplace that looks like heaven for cold winter days. The outside area finds picnic tables and chairs surrounded by lots of trees surely not native to Paris proper. The Imagineers have done a great job of making you feel like you are picnicking in the great outdoors of the American West instead of steps away from the Adventureland Bazaar. On the menu today was 1/2 smoked chicken with BBQ sauce, potato wedges, a fountain beverage and what might actually be the world’s smallest brownie. With the annual passholder discount of 10%, my combo meal came to just under 12 euros and I received a coupon for a free beverage later in the day. Remember to always check your receipts for this perk! Now this might not look like much in the picture, but this was a lot of food. The chicken itself was perfectly cooked and the BBQ sauce was tasty. It’s also quite mild for those out there who aren’t the biggest fans of heat. You could make a meal out of the potato wedges alone here with plenty to share and then some. Deep fried and lightly salted, they were decent and filling, but nothing to write home about. Dessert came in the form of a tiny brownie, pre-packaged and containing nuts. Just for fun, this picture was snapped for size comparison. Dessert wasn’t actually that bad at all but the value here is most definitely in your entree which is easily shared between two. 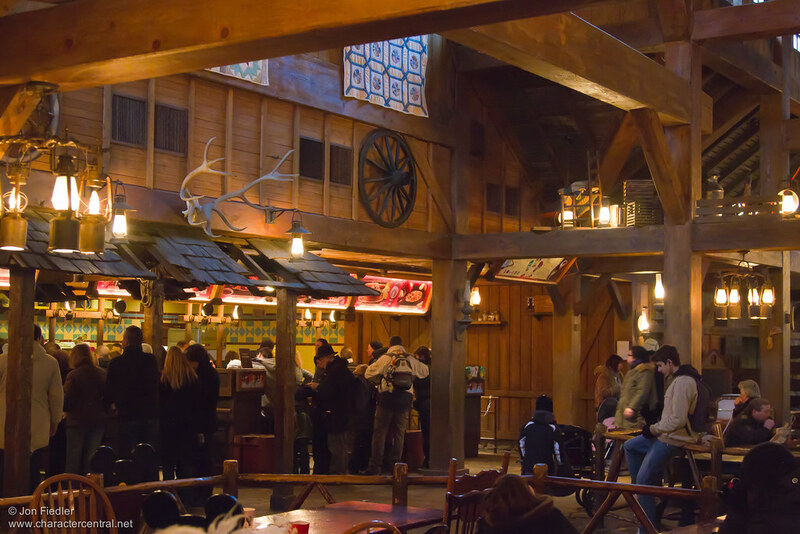 Overall, Cowboy Cookout is a great space to relax, kick off your boots and enjoy a taste of the south – at least as much as you’re able this side of Paris.